Chilling in Tossa de Mar. 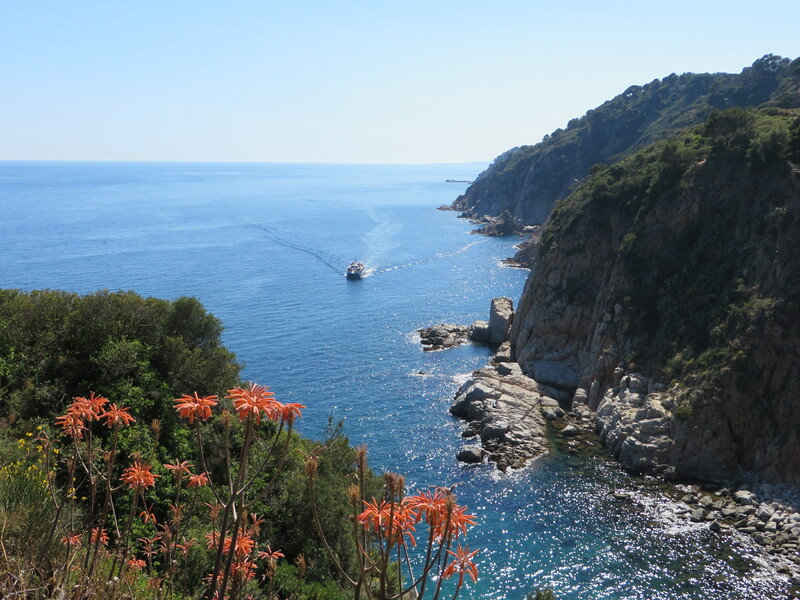 How Spain’s Costa Brava killed my travel snob. | IKIMASHO! Well, whad’ya know: Spain isn’t all just Brits on Tour & Butlins on steroids. 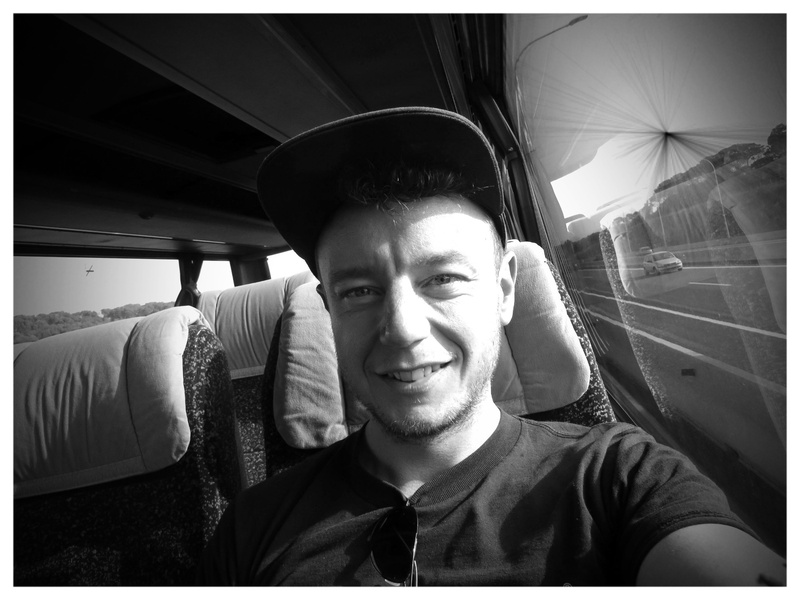 When it comes to Spain I’ll admit I’ve always been a bit of travel snob. Visions of redfaced Brits eating egg and chips, hen parties with huge inflatable penises and drunken bastards singing the macarena. Growing up, I never had any real desire to go there, maintaining that you had to go further afield to get a ‘real’ travel experience, whatever that is. Of course, it was wrong and stupid of me to write off an entire country simply due to my holier-than-thou Benidorm-aluf perceptions. 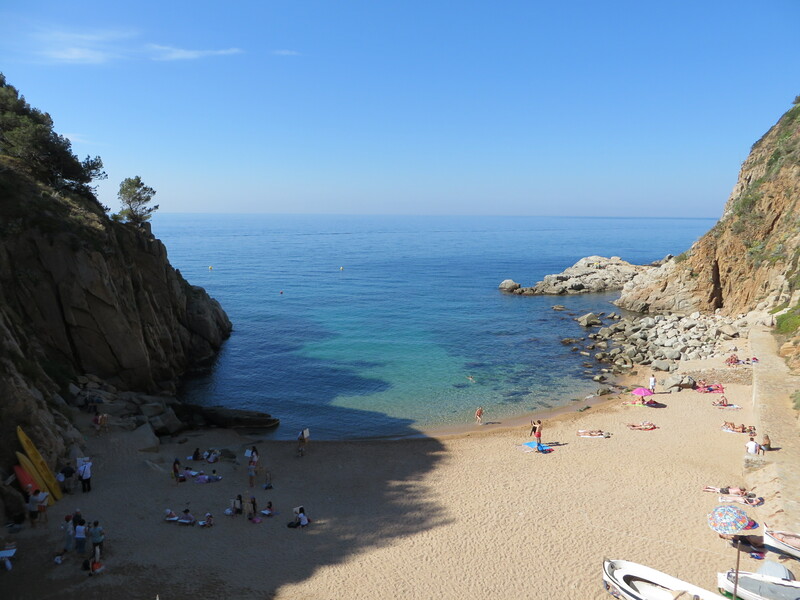 Not everywhere in Spain resembles Butlins on steroids – as I was to find out a few weeks back when I visited Costa Brava in the northeast of the country. It was absolutely stunning, and because I had such low expectations before my visit, it probably surprised me more than any place I’ve ever been. After a week hanging out in Morocco I took a cheap Ryanair flight from Marrakech to Girona and spent a brief night there, walking alongside the river Onyar and exploring the Old Quarter. 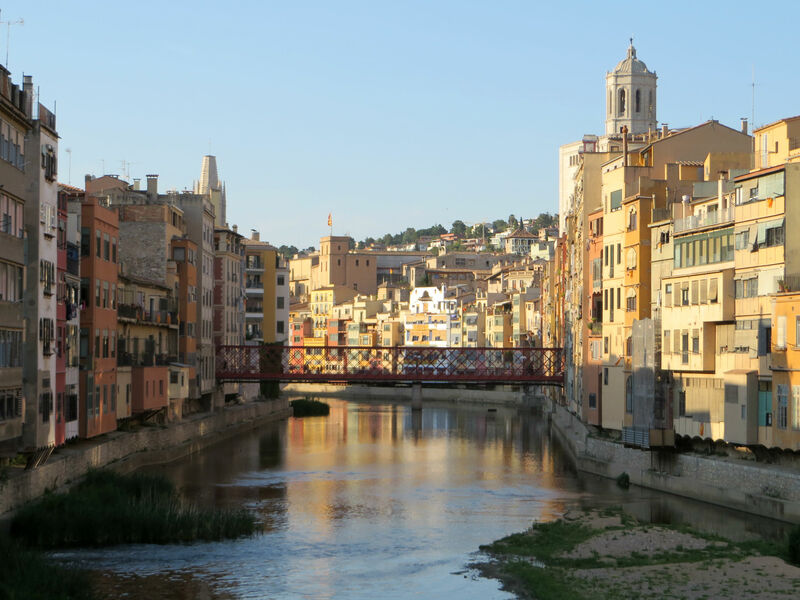 Girona is a nice spot, renowned for its traditional Catalan cuisine. Saying that, it’s still a city and more than anything I wanted to spend some time by the sea. (It seems the older I’ve got, the more of a beach bum I’ve become.) 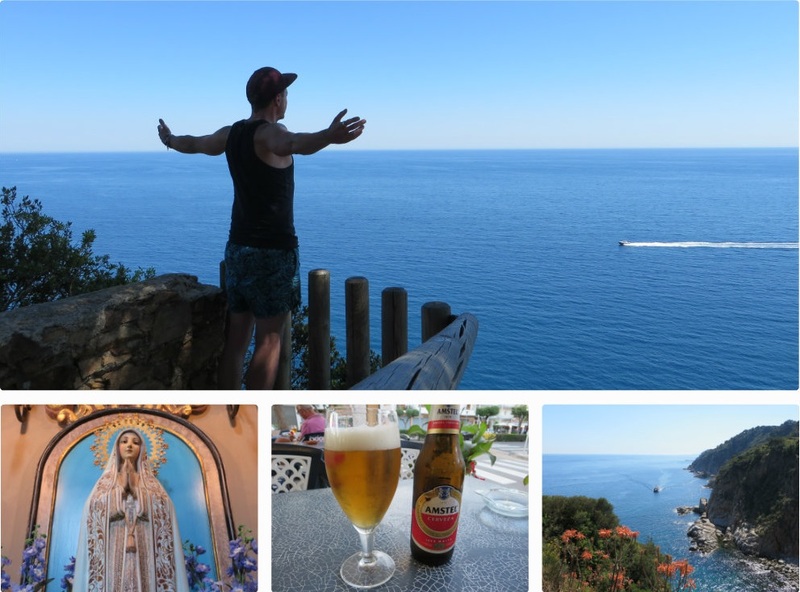 And so the next morning I checked out of my pokey room and went to the station to catch a bus to Tossa de Mar, just 100km south of the French border. Girona Airport to Girona Centre Bus Station. Single ticket €2.50, return €4.80. 30 mins. Colourful buildings along the river Onyar, in Girona, Catalonia. To get to Tossa you have to change buses at Lloret de Mar, and this is the Spain I did not want to see – signs advertising roast beef dinners and karaoke. Avoid. Avoid. Avoid. As such, I didn’t hold out much hope for Tossa which is just 25 minutes up the road. But I absolutely loved Tossa de Mar: an ancient fisherman’s village that has been transformed during the last 50 years into an emblematic tourist destination of the Costa Brava area. It’s low-key but the place is spotless and the food is great. Above all, the coastal scenery is spectacular. I honestly couldn’t believe it. I’ve never seen so much sea in my life. On most days I’d just eat, hike up the cliffs and lie there in the sun. It showed me that you don’t have to travel to the ends of the earth to be surrounded by beauty. 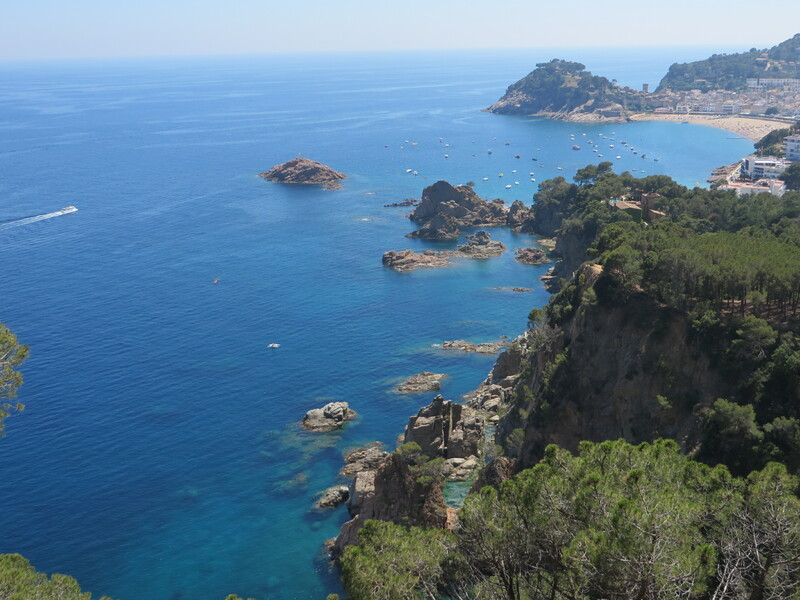 Here’s a short video from Tossa de Mar on the Costa Brava. It’s beaut – and I’d definitely go back. Music by Helios. ← Swifts at Sunset: Marrakech, Morocco. Pingback: Esglesia Parroquial de Sant Vincenç | Ikimasho! I have been to beautiful tossa de mar. Wonderful place.